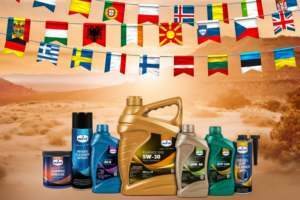 Eurol Petrol System Cleaner | Eurol B.V.
Eurol Petrol System Cleaner is an additive, formulated to rapidly clean the entire petrol fuel system. It is advised to be used if the engine suffers from power loss due to poor petrol quality. If the petrol quality is inconsistent, it can cause carbon deposit build-up, inefficient ignition and combustion and poor power output. It can also be used if poor quality fuel has been used over some time, to cure problems which have been accumulated during that period.